Based on interviews with 400 women worldwide, Runaway Husbands will explain everything you are going through. 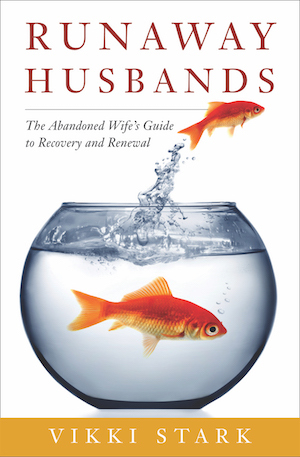 You’ll understand why your husband left, how you can feel better and how to move on from here. Plus, Vikki shares her own story of her runaway husband to encourage you. Planet Heartbreak is the companion volume to Runaway Husbands. 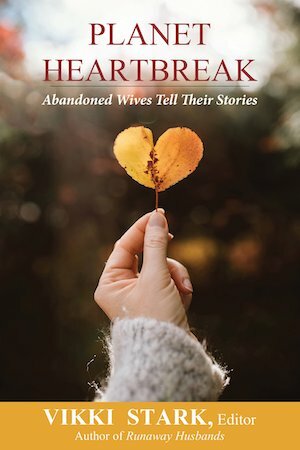 It is made up of 62 stories written by abandoned wives who tell about when their husbands left, how they coped and the strategies they used to jumpstart their lives again. Based on interviews with over 100 children whose parents divorced, The Divorce Talk is the definitive guide to help parents break the news of an upcoming separation to their kids with the least risk of trauma. Readers will learn to manage their own emotions, how to reduce the risk of trauma and cushion the blow into order to help their kids. Ever wonder about the the influences that shaped you growing up? My Sister, My Self explores how a woman’s place in the sister hierarchy in her family leads to the development of fundamental character traits that affect how she feels about herself, how she relates to other people and her choices in life. Hear Vikki’s own experience with her older sister that sheds light on the subject.